I enjoyed reading this funny book! Abu Dhabi in 3 Days: The Definitive Tourist Guide Book That Helps You Travel Smart and Save Time by Finest City Guides. Price: Free. Genre: Travel, Specialty Travel, Budget Travel. Rated: 4.5 stars on 4 Reviews. 39 pages. ASIN: B06W2JG25F. Posted on July 28, 2017 Author KibetCategories Budget, Free Travel Kindle Books, history, TravelersLeave a comment on Kindle Travel Deals for Thursday! Sweden: Sweden Travel Guide: 101 Coolest Things to Do in Sweden (Stockholm Travel Guide, Gothenburg, Malmo, Uppsala, Swedish Lapland, Scandinavia Travel) by 101 Coolest Things. Price: Free. Genre: Travel, Europe, Sweden, Stockholm. Rated: 4.5 stars on 4 Reviews. 68 pages. ASIN: B071DNRK8H. Posted on July 27, 2017 Author KibetCategories Budget, Free Travel Kindle Books, TravelersLeave a comment on Kindle Travel Deals for Wednesday! Posted on July 26, 2017 Author KibetCategories Budget, Free Travel Kindle Books, TravelersLeave a comment on Kindle Travel Deals for Tuesday! 5 Excellent Free Kindle Travel Books for Monday! *India Travel Guide: 101 Coolest Things to Do in India (Backpacking India, Goa, Rajasthan, New Delhi, Kerala, Mumbai, Kolkata) by 101 Coolest Things. Price: Free. Genre: Travel, Asia, India, Delhi. Rated: 4.7 stars on 11 Reviews. 42 pages. ASIN: B073TYHNQY. Ireland: Ireland Travel Guide: 51 Amazing Things to Do in Ireland (Dublin, Cork, Galway, Backpacking Ireland, Budget Travel) by 51 Amazing Things. Price: Free. Genre: Travel, Specialty Travel, Budget Travel. Rated: 4.7 stars on 4 Reviews. 106 pages. ASIN: B073XNT3N9. 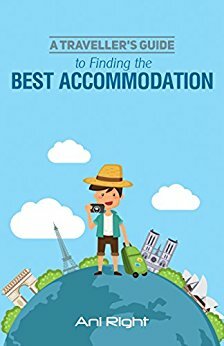 Posted on July 25, 2017 Author KibetCategories Budget, Free Travel Kindle Books, TravelersLeave a comment on 5 Excellent Free Kindle Travel Books for Monday! 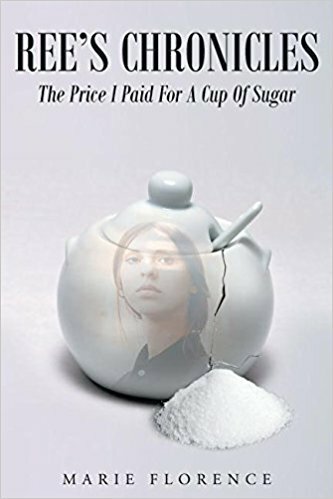 *Ree’s Chronicles: The Price I Paid for a Cup of Sugar (Deal, Not Free) by Marie Florence. Price: $14.93. Genre: Travel Memoirs Book Deal, Sponsor, Biographies & Memoirs, Travelers & Explorers. Rated: 5 stars on 6 Reviews. 300 pages. ASIN: 1635756162. The Insider’s Guide to the Best of Mexico: 42 experts tell you where to sun, swim, eat, stay, and celebrate the real Mexico by Carmen Amato. Price: Free. Genre: Travel, Central & South America, Mexico. Rated: 4.7 stars on 4 Reviews. 136 pages. ASIN: B072TKHMC5. Posted on July 22, 2017 Author KibetCategories Biographies, Free Travel Kindle Books, memoir, TravelersLeave a comment on Kindle Travel Deals for Friday! 5 Awesome Free Kindle Travel Books for Wednesday! 100 Free Things To Do In Switzerland (Travel Free eGuidebooks Book 13) by Daniel Davidson. Price: Free. Genre: Travel, Specialty Travel, Budget Travel. Rated: 4.6 stars on 5 Reviews. 220 pages. ASIN: B00E5UMWF2. The Unexpected Pilgrim by S. A. Ledlie. Price: Free. Genre: Travel, Middle East, Israel, General. Rated: 4.5 stars on 4 Reviews. 78 pages. ASIN: B00UH9LF3U. Posted on July 20, 2017 Author KibetCategories Biographies, Budget, Free Travel Kindle Books, memoir, TravelersLeave a comment on 5 Awesome Free Kindle Travel Books for Wednesday! 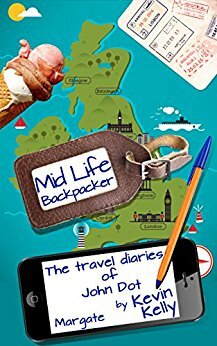 *The travel diaries of John Dot: Margate (Mid Life Backpacker Book 1) by Kevin Kelly. Price: Free. Genre: Nonfiction Book, Sponsor, Travel. Rated: 5 stars on 1 Reviews. 53 pages. ASIN: B073GR44RP. *Portugal: Portugal Travel Guide: The 30 Best Tips For Your Trip To Portugal – The Places You Have To See (Portugal Travel, Lisbon, Porto, Madeira, Lagos Book 1) by Traveling The World. Price: Free. Genre: Travel, Europe, Portugal, Lisbon. Rated: 5 stars on 4 Reviews. 40 pages. ASIN: B073T2NMP2. Posted on July 18, 2017 Author KibetCategories Biographies, Budget, Free Travel Kindle Books, memoir, TravelersLeave a comment on Kindle Travel Deals for Monday! OMG this book is awesome!! Posted on July 17, 2017 Author KibetCategories Free Travel Kindle Books, memoir, TravelersLeave a comment on Kindle Travel Deals for Sunday!